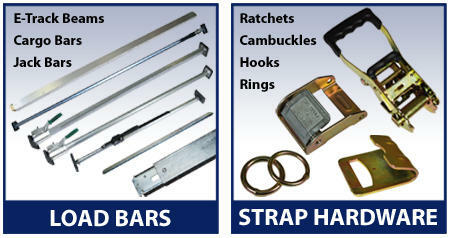 Cargo Bars - Ratchet Straps - E track - Load Bars - Winch Straps - Lodi Metals, Inc. Welcome to Lodi Metals. We are a leading cargo control products manufacturer. We specialize in custom-made equipment and our motto says it all—Can’t find it, we make it! We can custom make load bars, tie down straps, transport chain, recovery straps and much more. We are based in Ohio and make high quality products for the cargo control industry all across the USA. If you don’t see what you need, call us at 1-800-807-5634. Lodi Metals wants to make sure you get exactly what you need for your application. Browse our cargo bars, e track bars, ratchet straps, tie down straps, tow straps, chain boomers, tie down webbing, or moving blankets and order yours today! 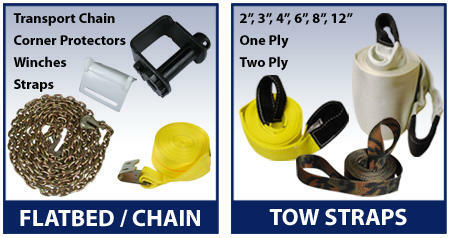 We custom make our heavy duty ratchet tie down straps with industrial sewing machines and polyester webbing. Our unique sewing techniques ensure that you will receive quality tie downs in a fraction of the time as most manufacturers. We will make your straps any length and with any hardware to fit your needs. We can also print your company name or website address on 2”, 3”, or 4” straps. Please call us for custom-made ratchet straps! Our recovery tow straps are manufactured from heavy duty nylon webbing and use full Cordura wraps to provide longer wear life in the eyes. We can make single or double ply straps and we can make them any width and any length. We have a great selection of eye to eye lifting slings and recovery straps. We can also make endless slings upon request. Leveraging our experience in manufacturing with high quality aluminum and steel load bars, we have the advantage over the competition. Lodi Metals specializes in making cargo bars for pickup trucks, steel deck beams, aluminum e track bars and many other cargo bar styles. Contact us for custom application bars. Moving Blankets have been a staple of our company since inception. Our moving pads are 72” by 80” and come in different weights, ranging from 55 pounds per dozen to 90 pounds per dozen. We offer budget warehouse pads that are thin and light, which are good for storage units, up to heavy cotton polyester blend pads that are used to cover valuable furniture during a move. 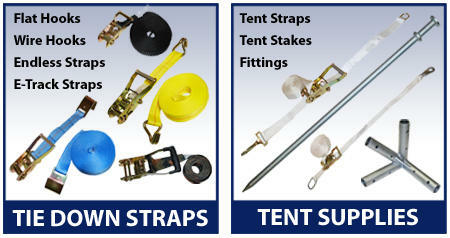 We also offer a wide selection of moving supplies from moving straps and dollies to rubber moving bands. Lodi Metals is your one-stop shop for all your flatbed hauling equipment needs. Oversize and Wide Load Banners, winch straps, transport chain, wheel chocks, and corner protectors are just a few of the items that we keep in stock. Call today to get set up for all things flatbed.